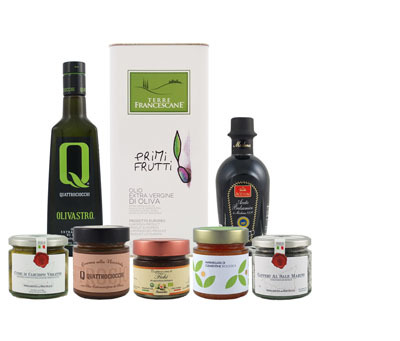 This monocultivar extra virgin olive oil is produced from Caninese olives, the prime cultivar of the Tuscia region of central Italy. The area's volcanic soil provides essential minerals to the olive trees and helps form the oil's distinct characteristics. The oil has a fruity aroma of fresh grass and on the palate offers notes of artichoke and green almond. A well-balanced bitter and spicy finish creates a lovely harmony with the oil's fruit flavors. Try it with salmon salads, baked or fried fish, asparagus soups, pasta dishes, and even red meats. We love it drizzled over a thick slice of bread with butter.